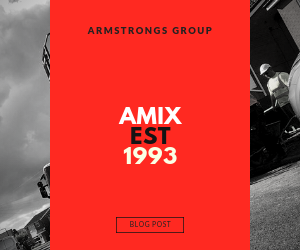 AMIX established since 1993, is one of the longest running concrete companies operating in the North West and a proud subsidiary of Armstrongs Group. AMIX is an company who produce and provide ready mix concrete. Despite the fact that AMIX have been trading continuously since 1993, they haven’t always been a part of Armstrongs Group. Armstrongs Group bought AMIX in 2015. The aggregate which AMIX use in the making of the concrete is Armstrong’s own. Therefore this ensures top quality as we have full control of what goes into our products. Within AMIX, there are staff members who have over 30 years of experience in working for major concrete providers. As a result of this AMIX have one of the best teams, in and outside of the office. First of all, what is it that AMIX produce? They produce Ready Mix Concrete. RMC is designed to enable you to cast material into a desired shape and then hardened. Ready mix concrete is made-up of different elements. These are cement, aggregate fine and course, water and other additives if required. They produce a range of different ready mix concretes. These range from GEN1, which is known for its extreme versatility, to RC50 which is used widely for its industrial strength. AMIX produce concrete which have multiple different uses. Some of these include driveways, car parks, patios, floors, foundations, walls and footings. 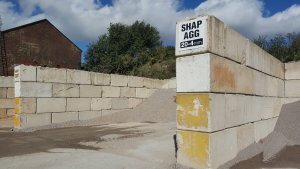 We don’t only just use our own aggregate, but we use CEM1 in our mixes which is 100% cement, ensuring the best quality. Who do AMIX provide to? 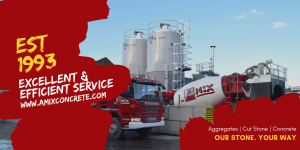 AMIX are very proud to provide concrete too many of the North West’s leading companies including: Builders, Civil Engineers, Tradesmen and Commercial Contractors. Smaller projects such as home driveways are also something which AMIX are proud of taking part in. This is because of our love for our community, and we want to continue to help lay foundations across Lancashire. You can visit our AMIX website HERE or contact us if you have any questions or queries about what we do. 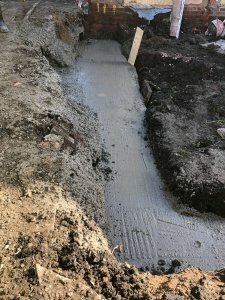 Feel free to look at our previous blog ‘Concrete vs Cement’ where you can learn more about the trade. Check out all our socials such as Facebook, Instagram, Twitter and LinkedIn where we post daily!